This is my 100th blog post, so I thought it was the perfect time to take stock and appraise the first few months of Fairies & Pirates. I started this blog last November, after toying with the idea for a good while, but not plucking up the courage for ages. Those who know me can attest that in the past I had been rather cynical of the whole blogging thing, maybe because I’m a writer and editor, and I suppose it didn't sit right with me that “anyone” could just publish their thoughts and musings. However, once I started reading and properly following a couple of blogs, my opinion quickly changed. Especially the parent / family / mummy blogger scene struck a chord, and the more blogs I followed, the more immersed in the blogosphere I became. 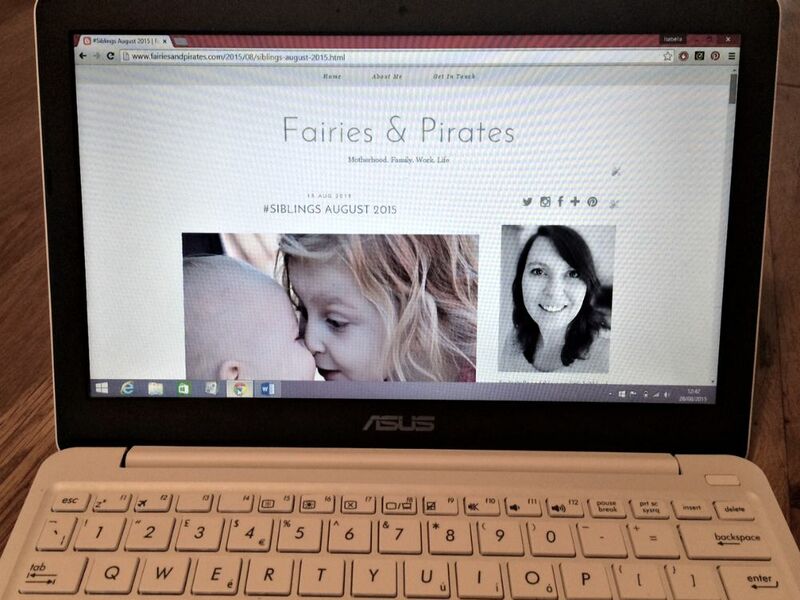 In the end, some of my favourite mummy bloggers really inspired me to start my own. I, too, wanted to document my children’s life and create lasting memories; I, too, wanted to share my thoughts; and I, too, wanted to become a part of the community, which I found to be so friendly, open and supportive. I guess until and unless you run a blog yourself, it’s hard to appreciate the bigger picture and the fact that there really is a close-knit blogging network out there. It took me by surprise just how much I would enjoy producing this little diary. I spend all day writing and editing, so I wasn’t sure whether I would have the energy, inspiration and dedication to stick with it and carry on writing in the evenings, but once I started, I was hooked. It has become a hobby and outlet that I cherish, and I find it actually hugely therapeutic to be able to write down my thoughts on motherhood and being a working mummy, to capture precious moments of and with my kids and my family. Especially the Siblings Project has quickly become my favourite feature of the month, I just love it, and I look forward to it every time, as well as my regular round-up of every month, which I’m sure will be so great to look back on in the future. Keeping memories is my main motivation for this blog, but I have to admit that I’m constantly walking a tight rope between sharing my kids’ shenanigans and not over exposing their lives on here, as I am all too aware that the internet can be a dangerous place, and of course I want to protect them from everything. I try to not to use detail shots of them on their own, but images with me in it, or wherever I can, I use images where their faces are obscured or I have taken side or back shots. Of course that’s not always possible, and I am the first to admit that sometimes the proud mummy in me comes through and I just use lovely images for images sake, because I love them and want to share them. But overall, I do try to be careful with what I post and the photographs I use, and this is something I need to be even more vigilant about in the future. I would be really interested to hear how other parent bloggers juggle this balance, so do drop me a comment below. Every comment, every tweet, every like I have received has been a huge thrill, and I’m grateful to everyone who has taken the time to read my reflections. There are lots of bloggers that I admire and who have made huge successes of their blogs. Thanks to their generous tips and advice, I am very aware of how you can grow a blog very quickly and enhance your readership and social media status – as well as stats! - , but I took the decision very early on to just go with the flow and let things happen organically. This is partially because, after all, I still have a full time job and only limited time in the evenings to dedicate to this corner of the internet, but also partially, because by nature I am a very ambitious person, and I know how easily I could become obsessed with stats and rankings and I was worried that this would then take over – many fellow bloggers have written extensively about the pressure they feel to keep up their Klout scores and Tots 100 rankings, and I know how easily I could get sucked into this, too. So, even if that makes me sound naïve (or stupid), I have so far resisted the urge to check my rankings and analytics as I know that it would irk me majorly if it was below where I would want to be, and I would probably start fretting over it. That’s not to say that I don’t want to develop and grow the blog and its readership, but for now I am happy with this approach, though I know that this isn't a long-term option, especially as I have had some great PR enquiries from companies who kindly want to work with me, so I'll have to face up to this sooner rather than later. I do have a list of things I definitely want to improve on though. My social media, for instance, is a major element. I love Instagram, and am quite active over there, but I know I am rather bad at Twitter and I miss out on so many great conversations. It’s mostly a time thing, to be honest. Between sorting out the kids and working full time, travelling for work and running a house-hold, I really have so little time to dedicate to this properly, and even though I keep lists, I still miss so much great engagement. So this is definitely an area I want to try to get to grips with more and really try to carve the time out to dedicate to this. It’s a similar situation with my Facebook page. 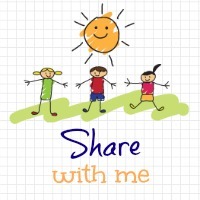 I have so far mostly used it to plug my posts – rubbish, I know, and against all social media “rules” – but again, it’s a time issue that I want to tackle with a little more organisation. Finally, I also want to become better at photography. John's background is in professional photography and I have so far always relied on him taking nice images of us (I think you can tell the difference between the photographs he’s taken and my little iPhone snapshots) without engaging my brain as to how lighting works and all the technical side of things, so my aim is to get him to teach me a bit about this and to improve on the aesthetics of my own images, so my blog overall will be a nicer space. So, yes, that’s pretty much it. My first nine months of blogging in a nutshell. Hopefully, there’ll be lots more to come. Thank you, that's really interesting. I do sometimes really struggle with finding a balance between producing an engaging blog while protecting the privacy of my kids, and often I question whether I should have kept them anonymous. It's a tricky one. But really good to read of other peoples' takes on this. Thank Rebecca! I think writing from the heart and being truthful and genuine is the most important thing, and everything else will follow eventually. I do have lots of ambitions for my blog, but I also don't want it taking over my life, which I know could be a real danger for me, as I'm quite a driven person. So for now taking each day and each post as it comes is the right approach for me, and hopefully I'll get there eventually. Good luck with developing your blog, too, sounds like we're in a similar boat!